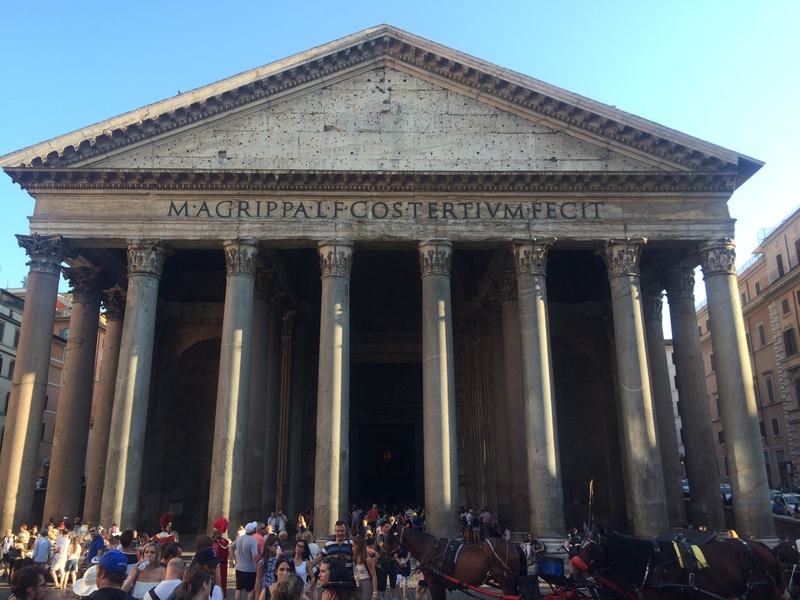 Engineering Rome is a UW Exploration Seminar that covers Roman and Italian engineering over a range of 3,000 years from Ancient Rome to the present day. It consists of one 5-credit course, CEE 409/509 Engineering Rome, which takes place in Rome, Italy at the UW Rome Center for three weeks during the 2017 Summer-Fall quarter break. There is also a once-per-week orientation session that meets in Spring 2017 to provide background information, and program orientation. This program explores over 3,000 years of cutting-edge engineering in the heart of Rome. It provides engineering students and those interested in engineering a unique international and historical perspective on engineering practice and its contributions to society. Rome is one of the richest sites in the world for exploring engineering through the ages from ancient Roman aqueducts, to Baroque basilicas, to sustainable life in a massive modern city. Students will interact with local experts on Roman cities, archaeology, construction, infrastructure and sustainability. Students will develop skills that allow them to analyze and evaluate civil infrastructure of all ages. Skills will be put to practice with classroom engineering analysis, expert lectures, and site visits guided by Roman experts in the engineering aspects of these sites (both modern and ancient). Anyone enrolled at the University of Washington. The class is open to all undergraduate and graduate students. You do not need to be a Civil and Environmental Engineering major, or even an Engineering major. You just need an interest in the subject. Keep in mind that we will be doing engineering analysis in the class so that type of activity should be something you are okay with doing and able to do. If you have had math education up to, but not including, calculus you should be just fine. Why the 409 and 509 course numbers? Any course in the UW that graduate students can regularly take is supposed to have a separate 500-level course number for graduate students to use. If you are an undergraduate, you will use the CEE 409 number. If you are a graduate student, you will use the CEE 509 number. Graduate students will be held to a higher standard on the final project but other than that the course is essentially identical.